Welcome to the November edition of #UpForJustice – a monthly news and prayer letter from the International Social Justice Commission (ISJC) based in New York City, USA. Last month we focused on the first SDG – ending extreme poverty by 2030. 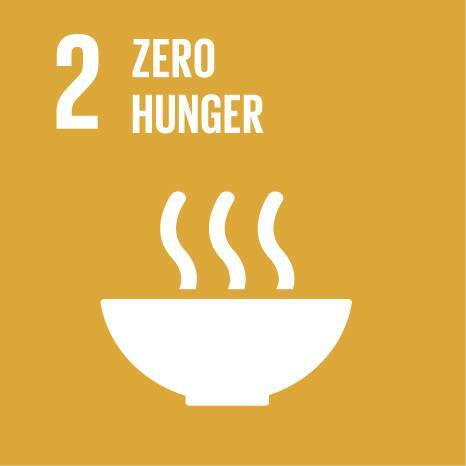 This month, ISJC Intern Caitlin Hallett will help us think and pray about SDG 2 – Zero Hunger: ‘End hunger, achieve food security and improved nutrition and promote sustainable agriculture.’ Each month, #UpForJustice will focus on another SDG. Therefore SDG 2 is critically important. Zero Hunger aims to end hunger, achieve food security and improved nutrition and nutrition and promote sustainable agriculture in all countries by the year 2030. • The vast majority of the world’s hungry people live in developing countries, where 12.9 per cent of the population is undernourished. • Southern Asia faces the greatest hunger burden, with about 281 million undernourished people. In sub-Saharan Africa, projections for the 2014-2016 period indicate a rate of undernourishment of almost 23 per cent. • Poor nutrition causes nearly half (45 per cent) of deaths in children under the age of five – 3.1 million children each year. • One in four of the world’s children suffer stunted growth. In developing countries the proportion can rise to one in three. • Agriculture is the single largest employer in the world, providing livelihoods for 40 per cent of today’s global population. It is the largest source of income and jobs for poor rural households. • Investing in smallholder women and men is an important way to increase food security and nutrition for the poorest, as well as food production for local and global markets. Prayer is crucial to ending hunger and achieving food security by 2030, as it is through prayer that the Holy Spirit equips us to address issues of social injustice. There are many examples of men and women in the Bible who engaged in acts of justice or advocacy following a period of time in prayer and petition to God. Through prayer we are able to acknowledge our weaknesses and dependence on the Holy Spirit to empower us to be holy, live out social justice and love our neighbours as we love ourselves. It is through the power of prayer that God is able to transform lives and the world. In Luke chapter 18, Jesus uses the parable of the widow to demonstrate what it means to be dependent on the Holy Spirit and to pray and never give up. He shares about a widow seeking fair judgement from an unjust judge and how through her persistence she receives what she has asked for. Jesus says in Luke 18:7-8: ‘And will not God bring about justice for his chosen ones, who cry out to him day and night? Will he keep putting them off? I tell you, he will see that they get justice, and quickly.’ We too must cry out to God persistently in prayer and take heart that nothing is impossible for God, including providing for the hungry and breaking down unfair systems. O God, you entrusted to us the fruits of all creation so that we might care for the earth and be nourished with its bounty. You sent us your Son to share our very flesh and blood and to teach us about your love. Through His death and resurrection, we have been formed into one human family. Jesus showed great concern for those who had no food – even transforming five loaves and two fish into a banquet that served five thousand and many more. We come before you, O God, conscious of our faults and failures, but full of hope, to share food with all members in this global family. Through your wisdom, inspire leaders of government and of business, as well as all the world’s citizens, to find just, and charitable solutions to end hunger by assuring that all people enjoy the right to food. God, may we strive to see your Kingdom come on Earth as it is in Heaven in our lives, families, communities, church and around the world so that there may be no more hunger. In Jesus’ name we pray. Amen. Please take time to read the targets associated with this goal and pray that God will equip and empower people, corps (churches) and the international Church to take action as they aim to address hunger and achieve food security. Pray for those people who are suffering from hunger and that hearts may be softened so that solutions can be generated and food and resources can be shared. • By 2030, end hunger and ensure access by all people, in particular the poor and people in vulnerable situations, including infants, to safe, nutritious and sufficient food all year round. • By 2030, end all forms of malnutrition, including achieving, by 2025, the internationally agreed targets on stunting and wasting in children under five years of age, and address the nutritional needs of adolescent girls, pregnant and lactating women and older persons. • By 2030, double the agricultural productivity and incomes of small-scale food producers, in particular women, indigenous peoples, family farmers, pastoralists and fishers, including through secure and equal access to land, other productive resources and inputs, knowledge, financial services, markets and opportunities for value addition and non-farm employment. • By 2030, ensure sustainable food production systems and implement resilient agricultural practices that increase productivity and production, that help maintain ecosystems, that strengthen capacity for adaptation to climate change, extreme weather, drought, flooding and other disasters and that progressively improve land and soil quality. • By 2020, maintain the genetic diversity of seeds, cultivated plants and farmed and domesticated animals and their related wild species, including through soundly managed and diversified seed and plant banks at the national, regional and international levels, and promote access to and fair and equitable sharing of benefits arising from the utilisation of genetic resources and associated traditional knowledge, as internationally agreed. • Increase investment, including through enhanced international cooperation, in rural infrastructure, agricultural research and extension services, technology development and plant and livestock gene banks in order to enhance agricultural productive capacity in developing countries, in particular least developed countries. • Correct and prevent trade restrictions and distortions in world agricultural markets, including through the parallel elimination of all forms of agricultural export subsidies and all export measures with equivalent effect, in accordance with the mandate of the Doha Development Round. • Adopt measures to ensure the proper functioning of food commodity markets and their derivatives and facilitate timely access to market information, including on food reserves, in order to help limit extreme food price volatility. The UN General Assembly in September was a significant meeting. All 193 member states signed up to 17 Sustainable Development Goals which will be effective until 2030. Please pray for the members of the ISJC and other Salvation Army leaders around the world as we find ways for the Army to contribute to this important work. We thank God for the officers of USA Eastern Territorial Headquarters who held their officers councils at the ISJC in October. It was an opportunity for us to explain what we do and why we do it! We thank God for the ongoing work of the young people who have joined the ISJC team for 12 months. Luke Cozens from the United Kingdom Territory with the Republic of Ireland and Robert Docter from the USA Western Territory are settling in well. Caitlin Hallett has returned to Australia after a time of learning and contribution in New York. Please pray for Johanna from Germany whose US visa has been refused. Johanna is due to join us at the ISJC in January 2016. Lieut-Colonels Dean and Eirwen Pallant were privileged to lead officers councils in the Hawaiian and Pacific Islands Division of the USA Western Territory in October. Please pray for the work of the Army in many isolated communities. While the weather and scenery is beautiful, there are many challenges in the division. Many people have needs and turn to the Army for help. 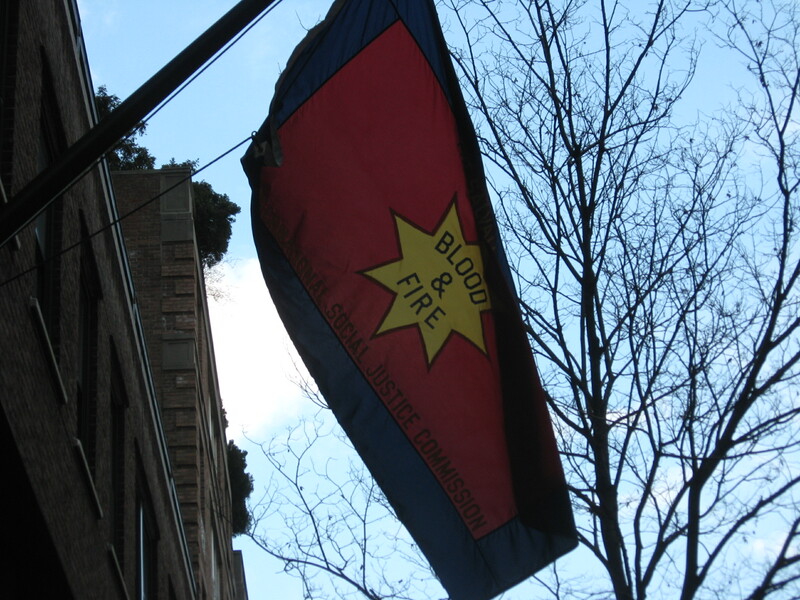 Please pray that the Salvationists and employees will find ways to fight for social justice in their communities. An International Anti-Human Trafficking Task Force has been appointed by the Chief of Staff, chaired by Lieut-Colonel Eirwen Pallant, Deputy Director at the ISJC. The first meeting was held in July. The scope of the problem of human trafficking is huge and there is much to be done. Lieut-Colonel Dean Pallant is teaching during the first week of November near Buenos Aires with officers from the South America East Territory. They will be considering important issues such as Christian ethics, social justice and accountability. Please pray for Major Victoria Edmonds and Lieut-Colonel Eirwen Pallant who will be visiting Tanzania and Kenya during November to learn more about human trafficking concerns and Army responses. Before returning to New York, Eirwen and Vickie will attend the annual Programme Resources Consultancy Group meeting in England. During late November and early December, Lieut-Colonel Dean Pallant will attend the South Asia Zonal Territorial Leaders Conference, chaired by General André Cox, in Sri Lanka. Please pray for this important meeting as issues of accountability are discussed. ‘For the Lord your God is God of gods and Lord of lords, the great God, mighty and awesome, who shows no partiality and accepts no bribes. He defends the cause of the fatherless and the widow, and loves the foreigner residing among you, giving them food and clothing’ (Deuteronomy 10:17-18). ‘Is not this the kind of fasting I have chosen: to loose the chains of injustice and untie the cords of the yoke, to set the oppressed free and break every yoke? Is it not to share your food with the hungry and to provide the poor wanderer with shelter – when you see the naked, to clothe them, and not to turn away from your own flesh and blood?’ (Isaiah 58:6-7). ‘See, I will create new heavens and a new earth…The sound of weeping and of crying will be heard in it no more. Never again will there be in it an infant who lives but a few days, or an old man who does not live out his years; the one who dies at a hundred will be thought a mere child; the one who fails to reach a hundred will be considered accursed. They will build houses and dwell in them; they will plant vineyards and eat their fruit. No longer will they build houses and others live in them, or plant and others eat. For as the days of a tree, so will be the days of my people.’ (Isaiah 65:17, 19-22). ‘I am the vine; you are the branches. If you remain in me and I in you, you will bear much fruit; apart from me you can do nothing.’ (John 15:5). The plight of refugees fleeing war, persecution and violence. The continuing work of The Salvation Army in places affected by disaster, including Nepal, Vanuatu and Japan. The ongoing political unrest in many places. Downloads and translations available below.